What do you usually use to reach your customers and establish a direct communication? Can your products literally “speak” with them? What if we tell you that our technology has an innovative and simple solution? It’s called Amon codes. Let us explain the mission and how it works. Everything starts with the generation of Amon QR codes with multi-level of encryption. It literally means that every scan action of our QR codes has its secret identity and every code is one of a kind. Once having generated a large number of codes it is now very simple to identify them, one by one – tracking through the dashboard we provide. Our customized dashboard works arm in arm with Amon codes: it makes easy to supervise the performance of real-time scans and design marketing campaigns on the needs of individual consumers. Knowing customers shopping behavior it’s critical, and the AmonCode dashboard makes the whole process much more immediate. The mission of AmonCode technology is to offer traceable QR codes and monitoring instrument in order to innovate the world of packaging and not only. It is good to know that we do not use online QR code generators and we do not work with static QR codes. Then what is the difference? Traceable – check up the map on your dashboard to monitor the distribution. Authenticity and quality is ensured through our original marking. 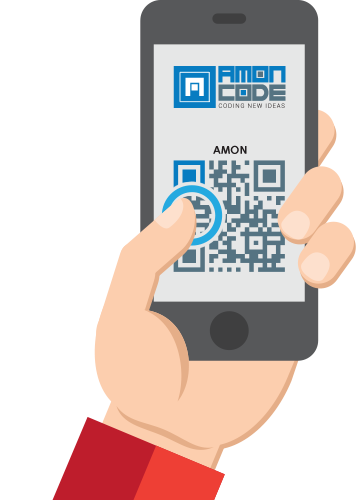 NB: No technical knowledge required for customers: just a smartphone with QR reading capability to get into Amon world. Once proposal is approved, our partnership with the customer starts with codes and marketing campaigns generation and screening activation: an AmonCode consultant, available 24/7, manages each project. Products already in place to be delivered? No problem: we can handle you pre-printed codes, so you do not have to modify or reprint your package.